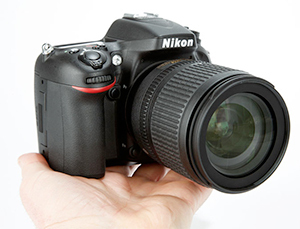 The Nikon D7100 is described by Nikon as its best DX-format DSLR to date. With its APS-C-sized sensor, the camera sits in the company’s consumer-level DSLR range, above the D7000 (priced at around £400 less), while the other weather-sealed DX-format D300S is now in limited supply. 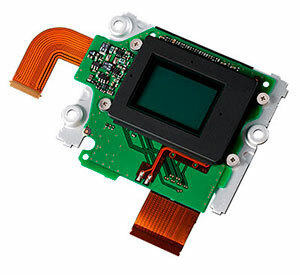 A 24.1-million-pixel sensor chip is now used in most of Nikon’s latest DX-format (APS-C) DSLRs, including the lower-end D3200 and D5200. While the D7100 has the same resolution, there is a key difference to its sensor: the anti-aliasing filter, also known as the low-pass filter, has been removed. The only other Nikon DSLR with a similar set-up is the D800E, whose sensor still has the filter fitted but its anti-aliasing effect is cancelled out. The removal of this filter is fast becoming a trend in new cameras, and it has already been seen in various camera models from different manufacturers – the Pentax K-5 IIs, for instance – so expect to hear a lot more about it in the future. A key function of the anti-aliasing filter is to reduce moiré patterning in sensors designed with the Bayer pattern array. The filter achieves this by slightly blurring the image before it reaches the sensor. 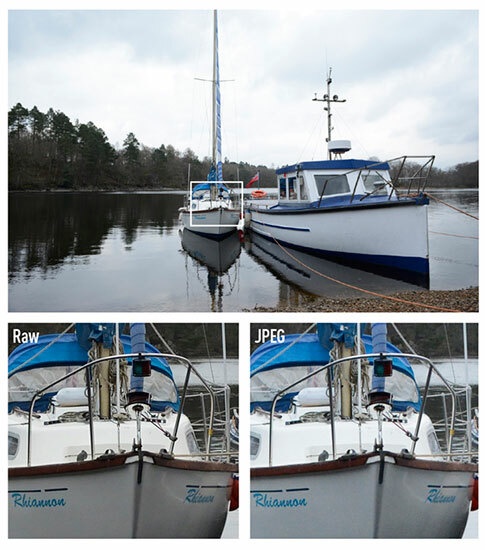 Its removal therefore results in sharper images and greater detail resolution than the sensor’s pixel count might suggest – but at the risk of increased moiré. However, Nikon states that the high pixel density of its 24.1-million pixel, APS-C-format sensor reduces this risk and so the filter is not needed. While the risk of moiré patterning is not removed completely, the number of situations in which it will appear are likely to be fewer, and for those images that do suffer the effect can be removed post-capture using supplied software. The fact that the Nikon D7100 has both a class-leading resolution and no anti-aliasing filter is a tantalising prospect. With similar build quality to Nikon’s full-frame D600 and images that are likely to be just as sharp, the Nikon D7100 could prove a suitable alternative to full frame. This is, of course, good news for those who already own a Nikon APS-C-format DSLR, because the same DX lenses can be used on the new camera. Full-frame users looking for a second body will also benefit from the Nikon D7100’s 1.5x magnification factor for FX lenses, enabling them to get in closer to their subject. While the Nikon D7000 is not being replaced by the Nikon D7100, it is the most similar camera from which to draw comparisons. The D7000’s 16.3-million-pixel sensor with anti-aliasing filter has been surpassed in the Nikon D7100 by a more densely populated 24.1-million-pixel sensor with no filter. The Nikon D7100 outputs files at 6000×4000 pixels, from which 20×13.3in prints can be made at 300ppi print resolution. An even larger 25×16.6in print can be made using a perfectly acceptable 240ppi – so the D7100 prints big! With this new camera, Nikon has for the first time included a crop format in one of its APS-C models, thanks no doubt to the high pixel count that maintains a respectable 4800×3200-pixel output (15.4 million pixels) in this mode. Its 1.3x magnification provides further reach for existing lenses – for example, an 18-200mm DX lens (27-300mm, 35mm equivalent) will effectively become a 36-400mm (35mm equivalent) lens. Furthermore, when in crop mode, the continuous high-speed burst rate is upped to 7fps and the 51-point AF array virtually fills the entire frame – but more on this later. Images are processed using the Expeed 3 processor, as found in Nikon’s D4 professional-level DSLR and 1-series compact system cameras. The standard high-speed burst rate of 6fps is possible for up to five full-resolution raw files or 20 JPEG files, using a high-speed UHS-I Class 10 SD memory card. The length of burst will vary for cards of different speeds. In the lower-resolution 1.3x crop mode, a 30-frame JPEG burst is possible. All in all, this is rather modest. However, reduce the JPEG image size to medium (4496×3000 pixels) and a 100-frame burst can be captured. Consumer-friendly scene modes and effects are available. I found the low-key and high-key modes fun to experiment with, but had less enthusiasm to delve into the 16 scene modes, which includes modes such as pet portrait and blossom. I suspect the target users of the Nikon D7100 are less likely to use these modes. Other shooting modes include multiple exposure for up to three shots with the option for auto gain, and interval-timer shooting with control over start time, interval time and the number of shots, up to 999 frames. There are plenty of accessories that can be used with the Nikon D7100, including the Wu-1a wireless mobile adapter (£45) and the GP-1 GPS unit (£200). Of course, it would be great if these functions were built into the camera and didn’t have to be bought as separate units, or packed separately in the kit bag for each day out. Further accessories include a new MB-D15 multi-power battery pack (£279.99) designed specifically for the Nikon D7100 (the grip for the D7000 is not compatible), an external microphone and a new, pricey WR-1 wireless remote controller (£649.99) that offers comprehensive control over the camera settings.